“IMMEUBLE DE LA MORT” LIVES AGAIN! And it lives again! After close to three decades of desertion, the “Building of Death”, widely known as “Immeuble de la Mort” lives again, with the common man’s baptismal name, “Immeuble de la Résurrection”. Built over a tunnel, the ministerial building No. 1 in Cameroon, left to its colossal sorrowful plight at the heart of the nation’s political capital, Yaounde, since the mid-1980s, was officially instated by Prime Minister, Philemon Yang on Friday, August 22, 2014. The gigantic structure, present three, five and seven storey-buildings, and an 18 storey-tower, making a total of four buildings strewn over three hectares of land. More than 700 offices stand out, with a parking lot capable of accommodating over 250 vehicles, and a basement of 1600m2. 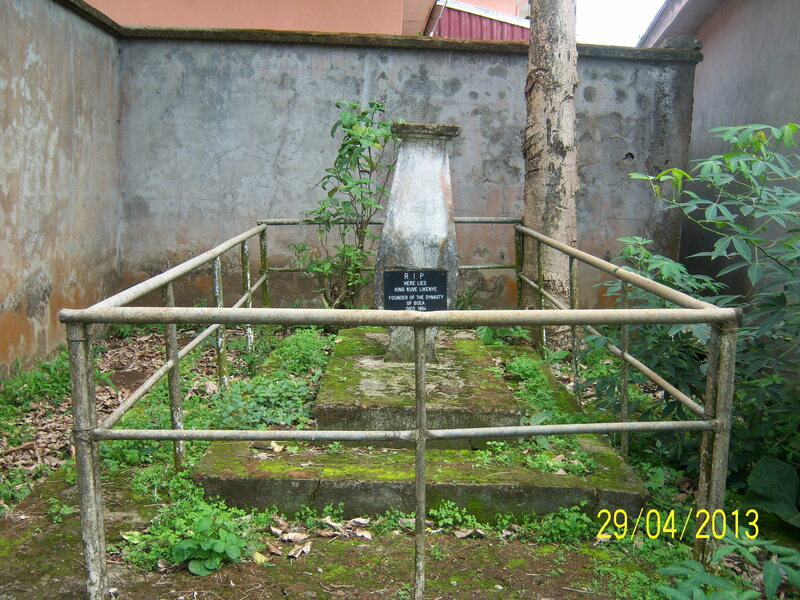 “Immeuble de la Mort”, was initiated by President Paul Biya during his early years of ascent to power, but had soon after been abandoned for impenetrable reasons. While some attribute its abandonment to the economic crisis in the early 1990s or the misappropriation of funds allotted for its construction, others say it was due to vibrations caused by the passing of trains via the tunnel beneath it. Whatever the case, work resumed in 2010 financed by the National Social Insurance Fund (CNPS) to the tune of 16 billion, contrasting to the estimated cost of 13 billion, 631 million, 532, 952 FCFA, according to camer.be. 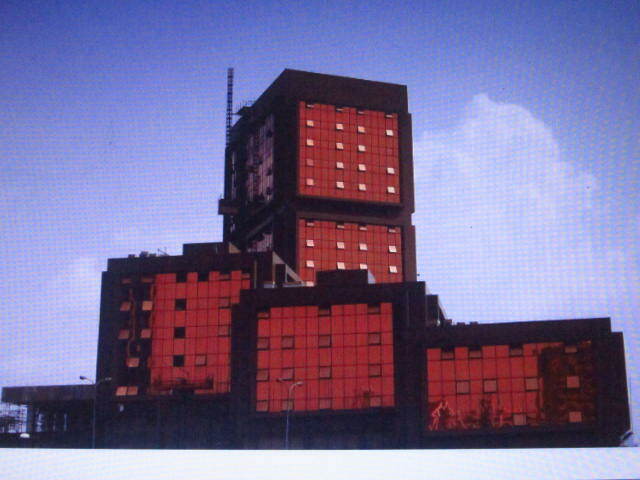 But how it came to be known as “Immeuble de le Mort” is everyone’s guess. The building had become home to all sorts of outlaws, purse-snatchers, and what have you. Reports have been rife on the number of persons who have been assaulted by the building, and the assaulters hurriedly making away into the building. Reports have also been rife on skulls that have been pulled out of the building; persons who have been raped in it, and several despicable crimes committed within its walls. Hopeful then, that its baptism by the people, as “Immeuble de la Resurrection”, be a rebirth for its history, a rebirth for the city of Yaounde, and most especially, a REBIRTH for Cameroon. 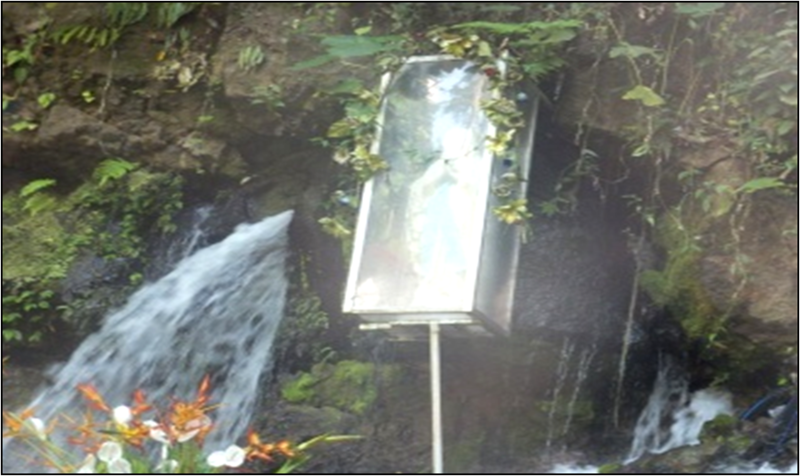 The Our Lady of Grace shrine-Sasse was inaugurated on Sunday September 4, 2011, by Immanuel Balanjo Bushu, Bishop of Buea, though afore discovered by Rev. Fr. Emmanuel Typam, missionary Priest of St. Vincent de Porres Order. The Shrine, located in Sasse, has a chapel for perpetual adoration, a mini-auditorium with an estimated 100 sitting capacity, and a shop for the sale of religious articles. It is around a waterfall that was freely offered to the Catholic Church by the traditional ruler of Sasse. The waterfall, as described by Bishop Bushu during the inauguration, is a hidden treasure given that even the indigenes and others who have lived in the community for more than a decade, have never had an idea about it. It is ideal for the numerous pilgrims it draws to its premise, even as the natural noise of the waterfall secludes pilgrims from the many distractions found around the site. When you think of Cameroon in Buea, then have a look at this. 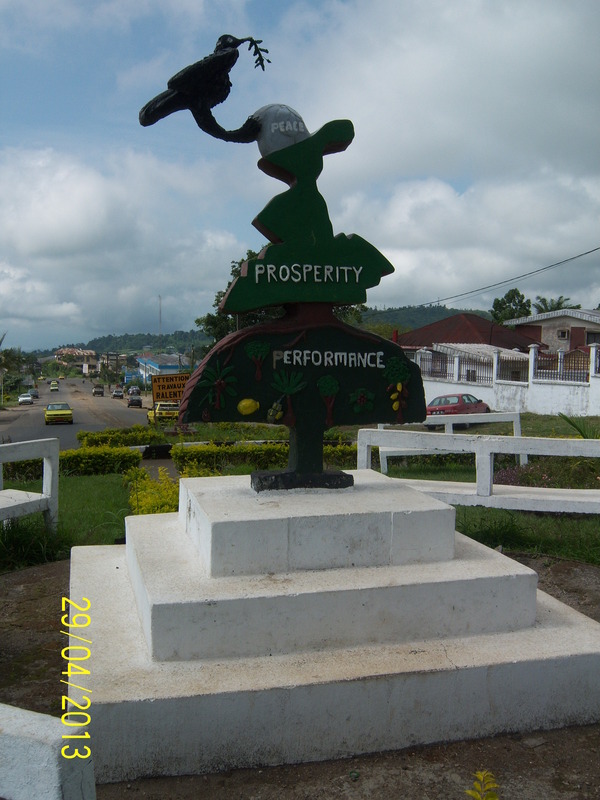 It has all the goodies that should reside in Cameroon, and Buea hosts this monument. It is situated at the D.O’s junction in Buea. 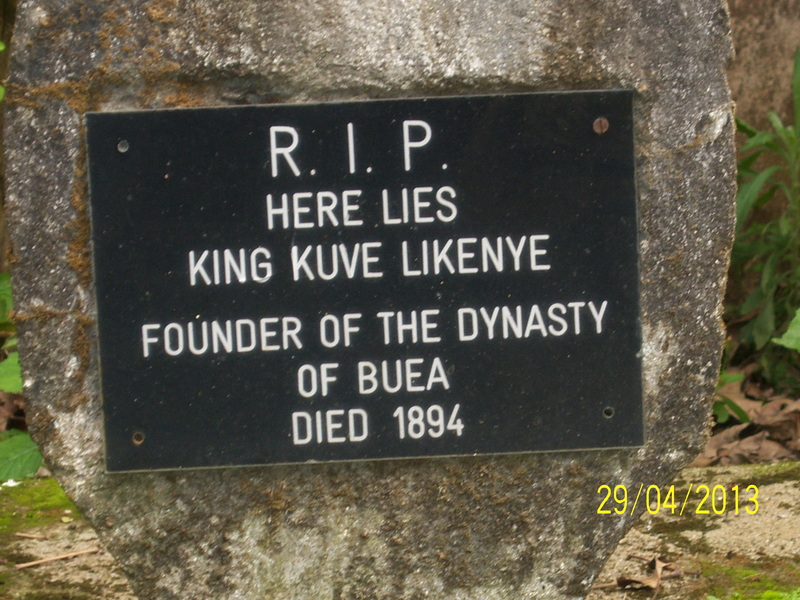 Chief Kuva Likenye was the founder of the Buea dynasty. He was the brain behind the Bakweri war of resistance in 1891- 1894 against Gravenreuth, the German commander. Buea seemed to have derived her vigour from her indigenous substrate on which the brave warrior and mountain king Kuva Likenye mobilized an ill-trained ragtag army to stand up in arms against German exploitation of the Bakweri people. Kuva may have been spiritually inspired by the mountain god “Ifasa moto”, or the mountain goddess “Liengu la lelu” or better still the mermaid “Liengu la naluwa”or maybe by the founding father of Buea Eye Njie Tama Lifanje. During the war, he summoned about 400 Bakwerians, who through their might halted the German advancement. The German advancement and wiles in turn sent him on exile to Wonya Mokumba, where he breathed his last in 1894. 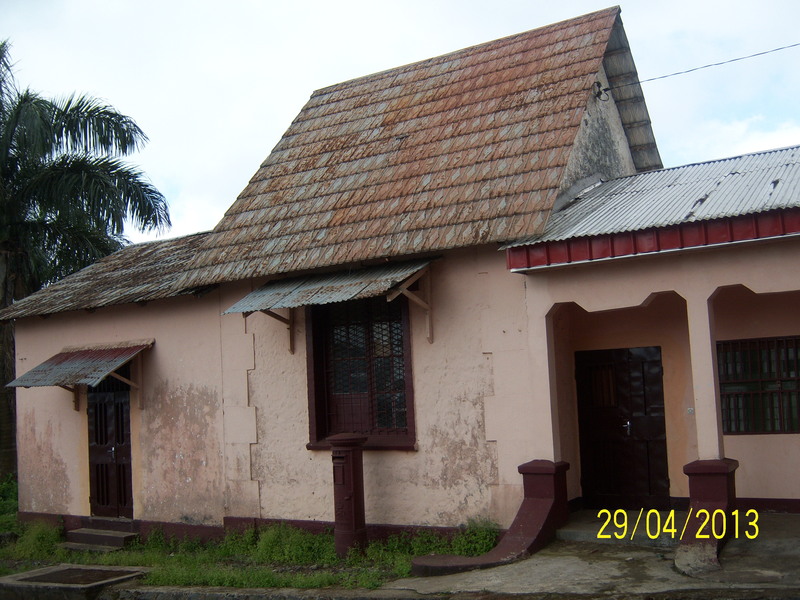 A glaring artifact of German rule in Cameroon, the first ever post office building in Buea, still stands tall, even as the other German buildings testify of the toughness of German structures in Cameroon. Perhaps evocative of tough German rule, the first post office building is flanked by the Bismarck Fountain, the Centenary Tower Clock building, and the Governor’s office amongst others. By its main entrance is a post box, where letters were dropped in yesteryears, and/or posts usually delivered. THE BISMARCK-FOUNTAIN: Haven for tourists! The Bismarck-Fountain was constructed in 1899 in honour of the German chancellor, prince Otto Von Bismarck.At the death of Bismarck in 1918, former German governor, Jesko Von Puttkamer made it a place of tribute. It is one of the few protected monuments in Cameroon and an important relic of a chapter of German-Cameroonian history. The fountain is a frequent destination for tourists visiting Buea. 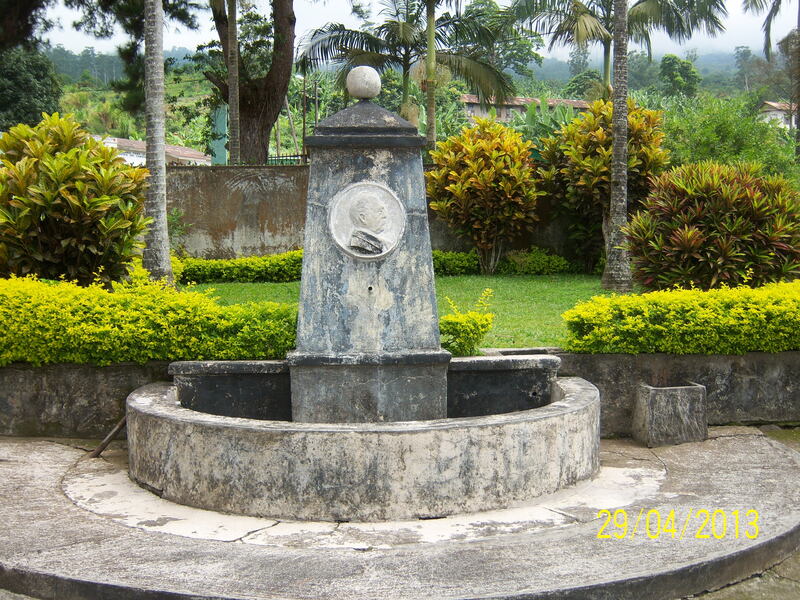 The fountain with a view on the highest mountain in Cameroon is in immediate proximity to other historical buildings in Buea, such as the ancient castle of the German Governor, the first post office, and the old German community school. The German Embassy in Yaoundé with a contribution of around 2.000 € finances conducted works which include the revitalisation of the water stream, the repair and care of the surrounding grounds and the construction of benches inviting guests to stay and enjoy the scenery, with John Ngomba as caretaker.